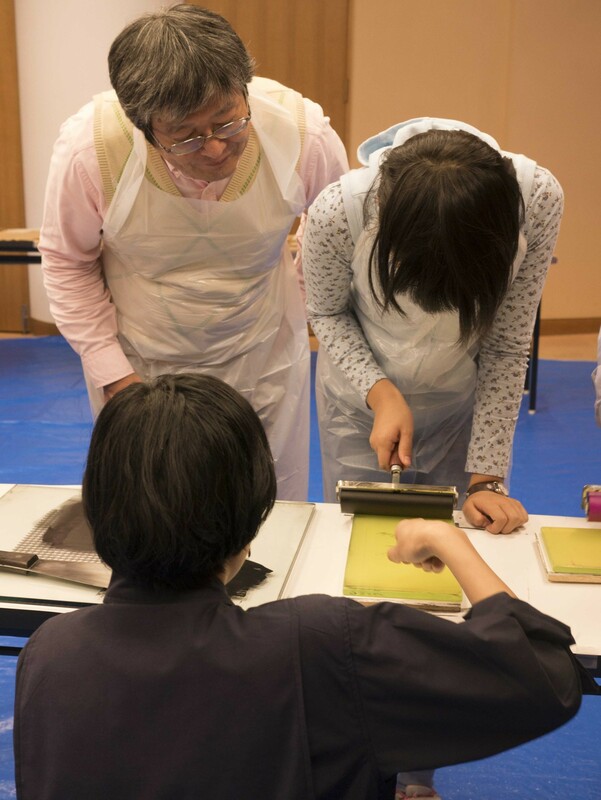 To celebrate Takaoka Art Museum’s current exhibition, Memories of Beauty: Reviving National Treasures, the skilled artisans of Benrido Atelier introduce the art of Collotype to tomorrow’s generation . 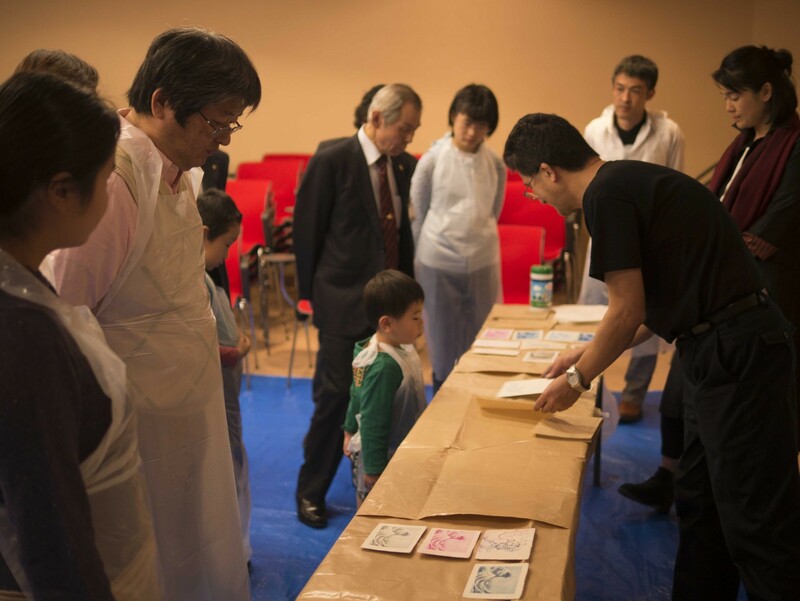 Lead by Benrido Atelier’s Master Printer, Osamu Yamamoto, the Takaoka Art Museum held a special Collotype Workshop that welcomed over 10 families and individuals to experience the art of collotype. Organised by both Benrido and the curators of Takaoka Art Museum, the workshop began with a warm welcome from Takaoka Art Museum’s Chief Curator Chiaki Seo followed by a short video which offered a glimpse into the work carried out by the atelier’s artisans. Using glass-plate negatives which illustrate well-known artworks such as ukiyo-e artist Hokusai’s The Great Wave off Kanagawa and Chōjū-jinbutsu-giga, commonly nicknamed Chōjū-giga from Kōzan-ji temple in Kyoto, participants took part in a hands-on experience creating their own collotype prints of these famous and well-loved works of art. Having held a variety of collotype workshops over the years in Japan and internationally such as at Switzerland’s artgenève, Benrido has aimed to reach a wide array of audiences by providing an open and fun avenue for individuals of all ages to engage with the process of collotype! For more information and updates on upcoming events or workshops sign-up and follow us on Facebook and Twitter, or email us at hello@benrido-collotype.today. Sign up for latest updates from Benrido on collotype related news.